WOW, How the time has flown bye. We couldnt wait to turn 16 so we could drive then it was 21 so we could drink ( legally). We all went our separate ways, some of us went on to farther our education others joined the military and others went directly into the work force, but we all have one thing in common as we are Normandies Class of 1979, so many momeries both bad and good. I ve missed all the reunions but i will be present at the 40th. Looking forward to seeing everyone. I can’t believe it has been 40 years. Hope everyone is doing well. looking forward to seeing everybody and having a goood time. First, Glory to God for keeping all of us.I am looking forward to seeing everyone.It will be such a blessing.We have lost a lot of classmates and may never know exactly how many.We have our precious memories they will be erased.Everyone take care see you soon.If it is God's Will.Lets have a BALL. I am looking forward to reacquainting classmates I have not seen in a spell, as well as meeting classmates I did not have an opportunity to meet while in high school - it should be a blast! Looking forward to our 40th Class reunion and seeing all of you again! It will be good to see all my Classmates and friends it been a long time sense we where walk the halls of Normandy hope to see everyone and hope you are well. Hey everybody! Be there or Be square! Hello All, looking forward to seeing everyone! Normandy Class of 79 I wanna see your face in the place! It will be a great event. Still can't believe it will be 40 years. Also looking forward to seeing Vikings again. I look forward to seeing all of you at this next reunion. I also look forward getting reacquainted with all of you. My how time flys! Hope to see everyone! Can’t wait to see all of my: V-I-K-I-N-G-S!!!Classmates!! I will give you 5 good reasons to attend....our 40th Kick-Off Reunion. Ditch the AARP 10% card and the shrink and have a drink of wine with us . Let’s reconnect & travel back down memory lane, with our former classmates. This could truly be rewarding and therapeutic:-) Let’s put on our boogie shoes, and dance the night away...laughing like teenagers. flashlight ain’t no 1/2 stepping, straight up flashback Let’s show-off pictures of our grandkids and family. Lastly, Lets thank Our Heavenly Father for allowing us to see OUR 40th Reunion, Let’s all enjoy good food, good music, awesome drinks It’s “TURN UP TIME” can’t wait to see you all. Take the Be There or Be Square Challenge . Classmates of Normandy Senior High Class 0f 1979, Next year, June 2019, it will be 40 years since we graduated in that "HOT" Normandy Viking Hall. I'm looking forward to seeing many of you at our 40th Class Reunion. Let's come and share our Life stories since that "HOT" night in June of 1979. Pray all is well with each and everyone of you. 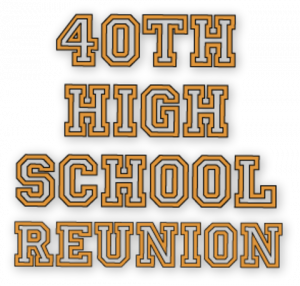 The 40th Reunion will be a great one, "Don't Miss It"
Hey Alum, i missed the 10 & 20 Year reunions and never realized how much fun they were until attending 25 & 30 year reunions. Being able to see classmates and how far we’ve come has been the ultimate life experience. like a good “whiskey” we’ve aged well and gotten better with time. Oh my God, amazing God we serve . I can’t believe it has been 40 years. I can’t wait to see each one of you. It’s going to be a blast . Hi classmates I can't believe it's been 40 years. I'm looking forward to seeing everyone. If you have missed the last reunions you don't want to miss next years. It will be full of fun, excitement and reminiscing. See you there. Looking forward to this milestone, hope everyone can make this once in a lifetime celebration. 40 years what a blessing. Whose the Best graduating Class of Normandy....Let's hear it.....1979. Hey Classmates, your 1979 Class Reunion Committe work hard to host the best, most memorable, and fun reunion each and every time. So Please come on out. We are looking forward to seeing everyone. Hello Viking classmates, I'm looking forward to seeing old friends and classmates I haven't seen since high school. See you at the reunion.